At Lye's Green, Corsley, BA12 7QH. 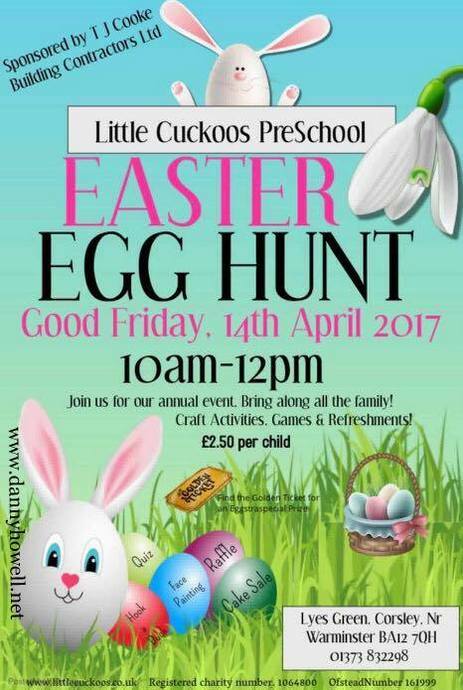 Egg Hunt, Craft Activities, Refreshments. Bring along all the family.